THE iconic Corolla has been around since 1967 – that’s unbelievable. Even more unbelievable is that this little car has sold more than 40 million cars worldwide – that’s double the number of sales of the iconic VW beetle. As a result, this little stayer has been a constant, while many of its rivals disappear into the automotive history books. 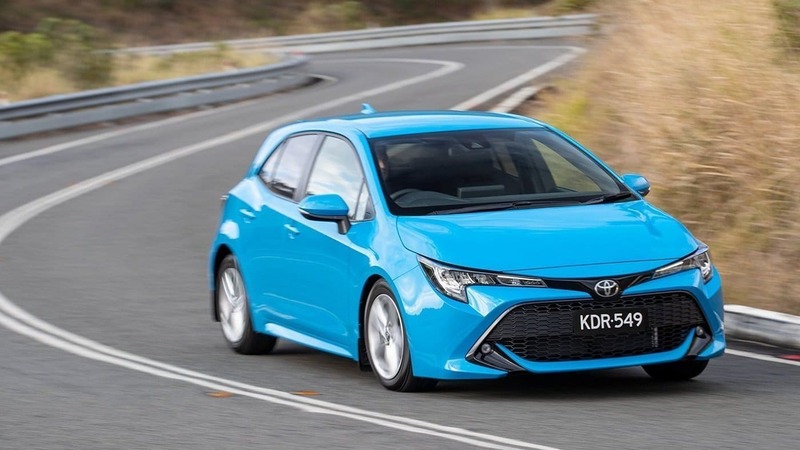 It’s also long maintained its status as one of the top selling hatchbacks on the Australian market. It’s forged a reputation for reliability, but over the last few years has probably struggled a fair bit in the looks department. Plain is how we’d best describe it. That was until Toyota build the 12th generation of this iconic Japanese car. 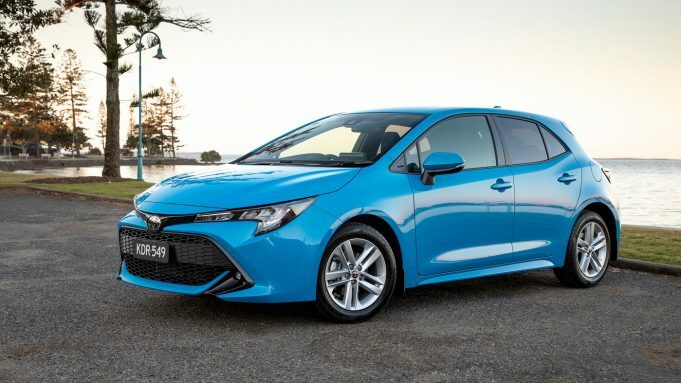 In 2019 the Corolla gets a massive face lift, in fact it’s pretty much a complete redesign. The new look is aggressive, particularly in the case of the ZR, which itself has a more sporty look than the other variants. In the case of the Ascent Sport and the SX we tested, they are both powered by a punchy 2.0-litre 4-cylinder Dynamic Force Dual VVT-i engine, delivering 125kW of power and 200Nm of torque. It’s enough to get you around town happily. It’s also enough to deliver a smile on to your face, should you be keen for some spirited driving, if you’re not afraid to test the loud pedal. Under pressure it will remain poised and well behaved, and feels stable and capable. Fuel economy is an impressive 6.3-litres/100km according to Toyota, although we couldn’t manage better than a 7.3. As is often the case with Toyota though, the standard inclusions list is super impressive even for the base model. The entry level Ascent Sport gets autonomous emergency braking, adaptive cruise control, surprised us with though, including AEB and adaptive cruise control, and even road sign recognition and lane departure alerts. It’s technology you don’t expect in a base model, quite frankly. 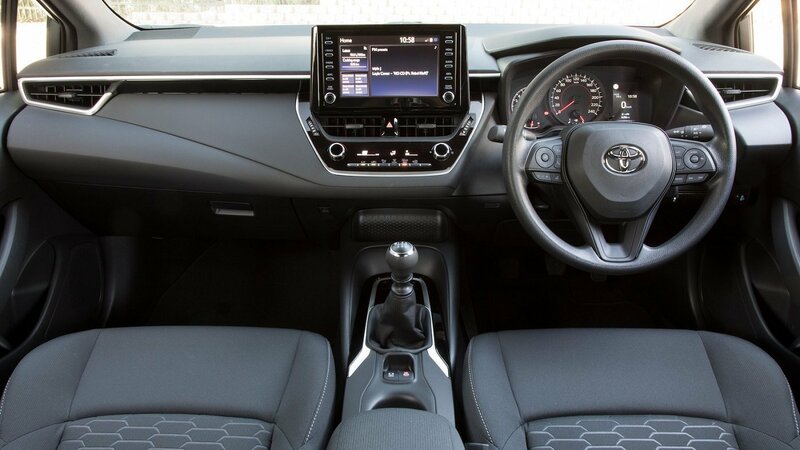 All CVT auto Corolla models (only the Ascent Sport comes with a manual option) also come with a fun little piece of tech called lane-trace assist. It’s designed to actively keep your car in the centre of the lane. This means that should you almost drift out of your lane, the car will put you back where you belong, all by itself. A nice touch for road safety, if not a little disconcerting the first time it happens. It’s pretty impressive in an entry level car that starts at $19,890 plus on road costs for the manual version. SatNav is only an optional extra in the Ascent Sport though, as is DAB+ digital radio. 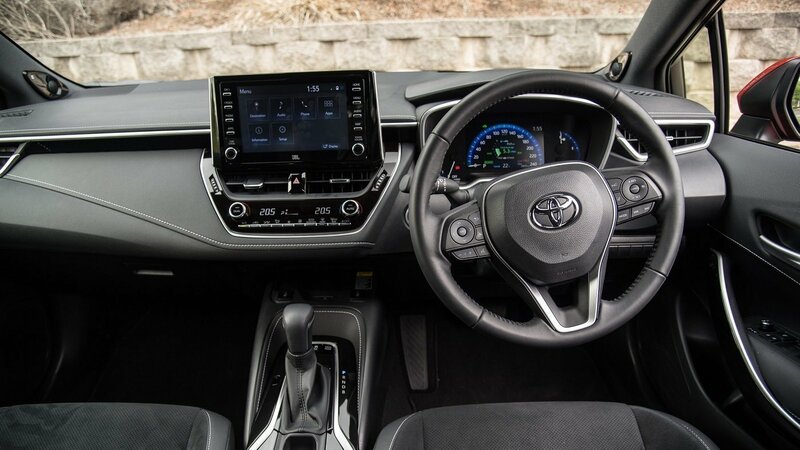 What you do get though, across the range, is an impressive 8.0 touchscreen infotainment system, that’s easy to use, with Bluetooth connectivity a breeze. The lower models also get a 4.2-inch driving information screen in the dash. There’s no Apple CarPlay or Android Auto across the entire Corolla hatch range either, but Toyota has provided full support for leading digital connectivity functions, including voice recognition, mobile assist, Siri Eyes Free, MiraCast and ToyotaLink. The interior of the Ascent Sport and the SX are nice, and it feels very refined for what is essentially the lower half of the product range. There’s a fair bit of soft and hard plastic about, but it’s been done well and doesn’t look cheap and nasty. The rear seats are a little tight for taller passengers, but head-room is good and shouldn’t present too many issues. The boot on the other hand, is just 217-litres in the Ascent Sport and SX, with both models riding on 16-inch alloys. Step up to the premium ZR though, and the Corolla jumps a level, with the premium variant even getting its own look to distinguish it from the other models in the range. For us that step was straight into the hybrid version of the sporty model. 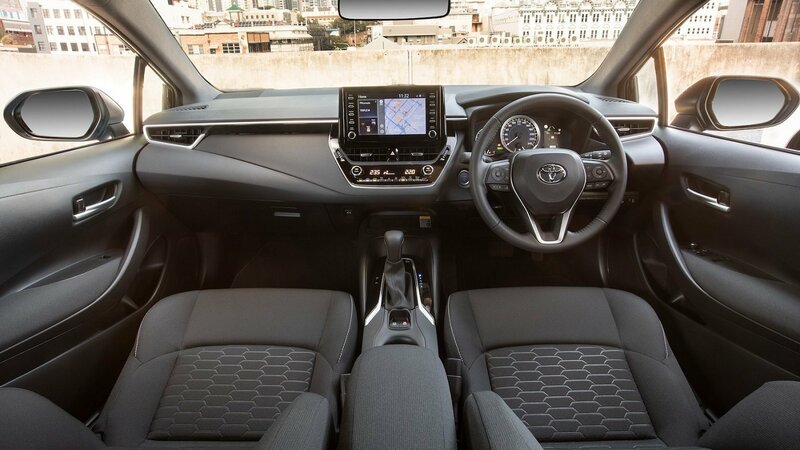 It’s the top of the range, and it shows, with the ZR the only model to get lumbar support for the driver, an Alcantara leather interior, colour-keyed stitching, a heads up display, sports seats, and the driving information display in the dash jumps to 7.0-inches. It should be noted that all Corolla models are also available as a hybrid variant, with each powered by a 1.8-litre 4-cylinder VVT-i petrol engine mated with Toyota’s highly efficient hybrid system. 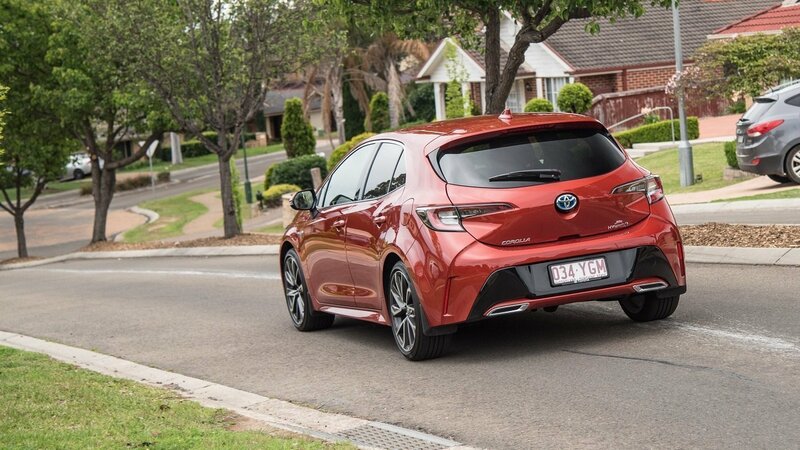 In the case of the ZR Hybrid, which rides on 18-inch alloy wheels, has a larger 333-litre boot but no spare at all; Toyota claims fuel economy figures of 4.2-litres/100km; we managed a 5.6, with some spirited driving. The different look to the ZR makes it feel sleeker, and it definitely has improved handling over the other two models. It will quite happily run around town on electric power and the grunt is there when you put your foot down. If you haven’t experienced hybrid technology before, Toyota’s various models are a good place to start. They pioneered mainstream hybrid tech with the ground-breaking Prius and have since rolled it into the Camry, with more models to come. For the record, the ZR Hybrid can be driven out of the showroom for $31,240 plus on-roads, and while that seems like a big jump, the differences we’ve already highlighted here make it well worth considering. Did we mention it also gets a JBL sound system? Overall, no matter the model, you’ll find a car that is excellent fun to drive on the open road. It doesn’t feel like it’s killing itself climbing hills either and road and tyre noise is minimal, except on rougher roads. It comes in eight colours, including Crystal Pearl, Glacier White, Eclipse Black, Peacock Black, Eclectic Blue, Oxide Bronze, Volcanic Red and Silver Pearl. All Toyota vehicles come with a 5-year warranty. 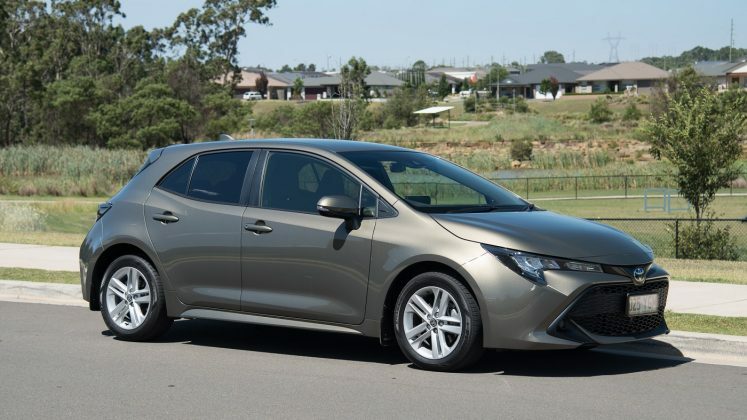 Our test vehicles were provided by Toyota Australia. 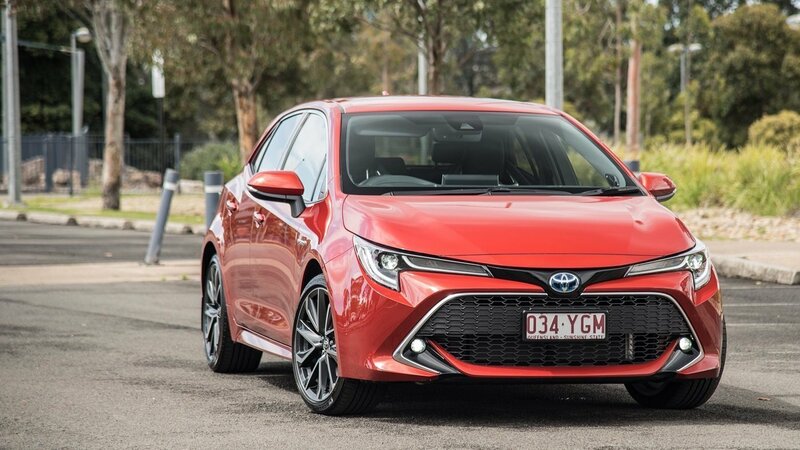 To find out more about the 2019 Toyota Corolla Ascent Sport, SX and ZR hatch range, in both petrol and hybrid, contact your local Toyota dealer. Pros - modernised styling; hybrid technology across the range; excellent ride and handling. Cons - no Apple CarPlay or Android Auto; smaller than expected boot space in all but the ZR Hybrid.